Yesterday, the provisional Autumn Winter 2016 schedule for the London Collections: Men – LC:M for short – was announced. The menswear event, which is held from January 8th-11th, marks the start of menswear month in January and June, with Pitti Uomo, Paris and Milan following over the following three weeks. I for one never tire of LC:M, but what have we learnt from this announcement? 1) Tom Ford is showing his AW16 collection on a catwalk. Since Tom Ford elegantly made his way on to the LC:M schedule, he has presented his slick seasonal offerings in an appointment only, presentation setting at his Victoria based showroom. 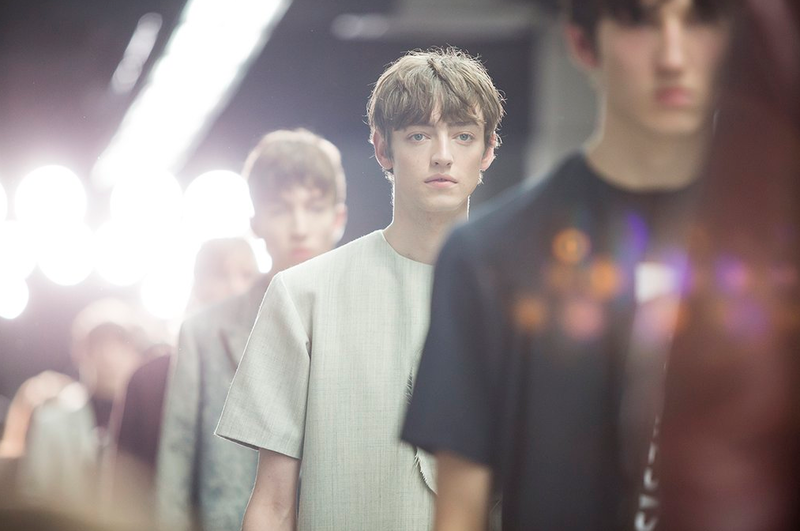 However, this move to the last show on the last day is big news for London, particularly when it will draw editors and buyers to stay for the whole event, rather than skip off to Florence for Pitti Uomo – which starts on January 12th – earlier than necessary. 3) RIP Old Sorting Office & The Hospital Club. Hello new venues. We knew it was coming; it was a matter of when not if that The Old Sorting Office (how that place passed Risk Assessments, I do not know) would cease as the Topman Show Space due to its dilapidated state and impending gentrification. I loved it. We loved it. Everyone loved it. Against predictions that a new show space would involve the Brewer Street Car Park following London Fashion Week’s move, The University of Westminster in Marylebone hails as the new Topman Show Space; 180 The Strand – the former Delloite building and more recently the venue for the Louis Vuitton Series 3 exhibition – is set to be the new press and buyers hub replacing The Hospital Club as well acting as a secondary BFC catwalk space to Victoria House which continues its outstanding role. Similarly, all of the designer exhibitions, encompassing all Emerging, Contemporary and Accessories talent will be housed there, making it easier for press and buyers to engage with brands and labels in one arena. Phew…however I won’t miss the Hospital Clubs’ impossible lifts but will miss walking with ease and speed in a little triangle between the venues and The Topman Pub. 4) Mochino and Pringle of Scotland return on-schedule. Big names Burberry, McQueen and Coach remain – and Mr Porter Presents. After a short hiatus, Jeremy Scott has chosen to once again show in London, as has the stalwart of knitwear, Pringle. Cue madness at the door for Mochino and charming rumblings of praise in the broadsheets for the elegant and brilliantly modern Pringle. Mr Porter is hosting an event although it is oddly sandwiched between some cracking shows although good luck with the other’s – it’s NFI or standing room only. 5) Everything remains the same. After all, we are men. Us chaps, it is said, don’t like change so it is with relief that the rest of the schedule remains the same. Topman starts proceedings on the Saturday at midday, Lou Dalton has her 10am slot, Mr Porter is getting involved once again as one of the sponsors, James Long, Christopher Shannon, Agi & Sam and Matthew Miller all feature in prime time slots plus a good smattering of Savile Row names appear and of course, dunhill will be exceptionally chic once again.